First off: Disclaimer! I am not paid for any of these product reviews, although if you want to pay me to do them that works for me! Basically the only reason I do these is to let you know some tricks, products, and other handy little things that have worked for me or have been a complete failure. I have tried several new things lately and just needed to share. I have upped my swimming lately and I noticed my hair was turning yellow. I have "Naturally" bleach blond hair and all the chlorine was just killing my color. 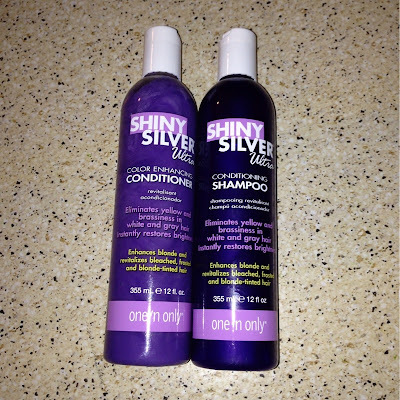 This was actually introduced to me several years ago to use once or twice a month to keep up my color, but I have been using it every single day and it is really keeping my hair looking bright and shiny! 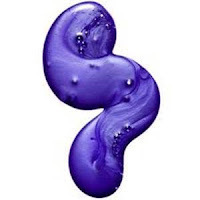 This is the brand I use but there are several. I get mine at Sally's Beauty and just love it....and it is such a pretty color! Next up, multi-vitamin. I have taken the same multivitamin for years and all of a sudden it was giving me a terrible stomach ache. It was so bad I thought I was going to vomit! 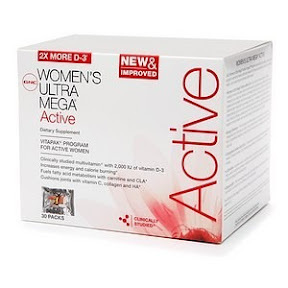 I talked to the people of GNC and they suggest this vita-pack. It has all time release pills so they don't all dissolve at once in my stomach and give me the stomach pain. I have been taking it for over a month now and the only down side I can find is that some of the pills are huge. Otherwise, I am incredibly happy with this product. This once was accidental. 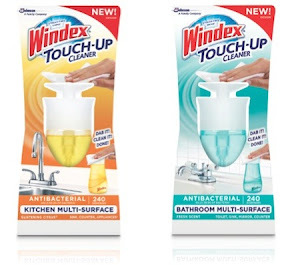 I went to Sister 3's house the other day and she just had to show me this new thing...Windex that is a touch up cleaner. Just push the top and it wets the paper towel and you can wipe up messes. I went to the store and bought it right up. With all the cooking Ive been doing lately I have greasy spots on my stove top and burn marks on my cabinets and this little guy is great. I have it in both my kitchen and bathroom and cant get enough. Oh, and it smells amazing. 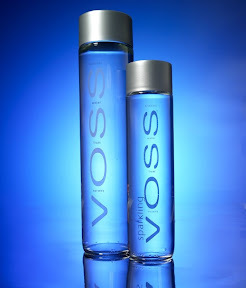 The VOSS water is not new but the bottle is amazing. I think everyone needs to have one of the VOSS bottles in glass. The glass is the important part because it can be used forever, day after day, and then when it gets dirty you can put it in the dish washer or use boiling water to sanitize it and start using it all over again. I keep one on my desk at work all day everyday and just swap them out when its time to wash one. Who knew such a product existed. I have to get ready at the gym every morning and I also like to put lotion on every day. It got pretty time consuming putting the lotion on at the gym. 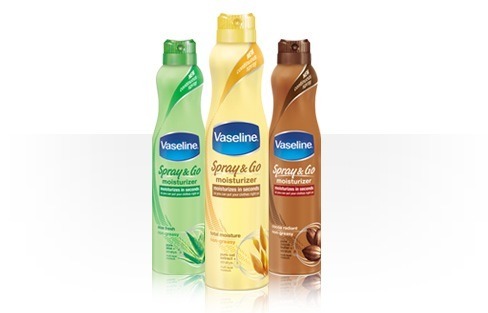 There is no where to sit down and you don't want to put your clothes on too soon afterward but you cant just stand around naked either, enter....spray lotion! This stuff goes on it seconds and drys really quickly and you don't have to get your hands all nasty while putting on lotion. I don't know how I have been such a good moisturizer all these years and have not had this stuff. The bottle says to rub it in but you don't even have to do that....just spray and go...LOVE THIS ONE! I thought these little things were so cute, and i still think they are cute, but not the best for me. I have waited forever for these bananas to get ripe so I could try one and lets just say I was disappointed when I took a bite into it. It was hard to open, each side had about an inch of mushy banana that you cant eat so really its only about 2 bites and those two bites don't have good flavor. 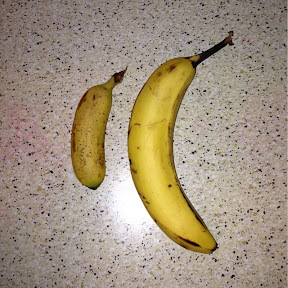 Ill just stick to my regular size banana that is full of flavor and actually helps me get full and stay full and cost about half the price for 2x the products. So there you have it, I hope these help you out if you are looking for something in particular otherwise you just basically got to listen to me type a commercial for my favorite new products!